With the support of Deloitte, a new panel of leading experts is invited to animate the 2nd edition of CCIFV Economic Seminar. 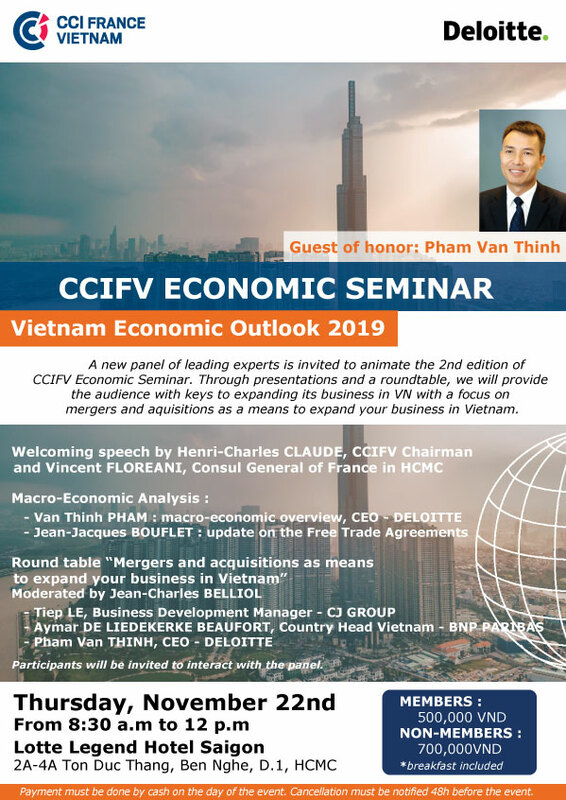 Through presentations and a roundtable, we will provide the audience with keys to expanding its business in VN with a focus on mergers and acquisitions to expand your business in Vietnam. 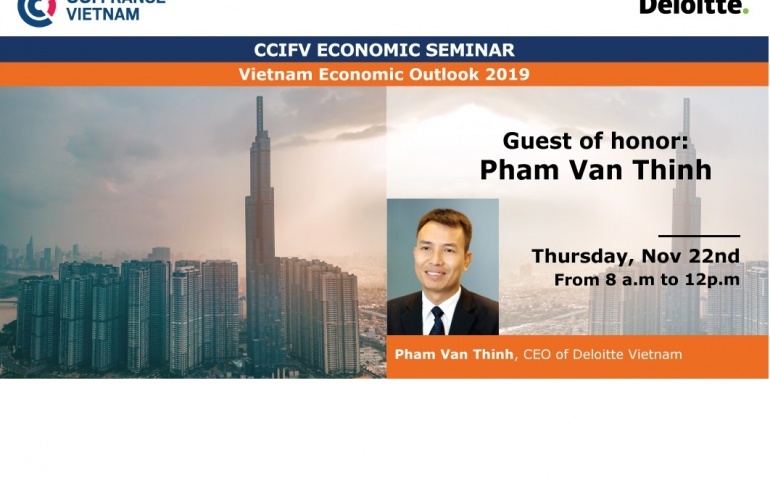 Mr. Pham Van Thinh is the CEO of Deloitte Vietnam. He has over 25 years of audit and consultancy experience including two years of experience at Deloitte office in San Francisco, California, serving services for multinational companies and companies in the North of California, US. He has considerable professional experience in corporate governance advisory, leadership and strategy, M&A transactions, valuation advisory, etc. Thinh has been also a guest speaker of many reputable summits/business forums/workshops in various topics including Bloomberg ASEAN Business Summit, Vietnam M&A Forum, VCCI’s Business Forum, Economic Forum, etc. Participants will be invited to interact with the panel.